Back in the day, I remember my dad, Dennis, sporting a cool knit tie like this for casual wear. Now everyone seems to be getting in on the action. Quick to knit from luxurious alpaca and silk, this tie has an elegant texture that makes it stand out (quietly) from the crowd and would make a great gift for the man (or woman) in your life. I used the entire skein of Blue Sky Alpaca's Alpaca Silk for the small tie, so if you want to knit a gauge swatch, be sure to buy a second skein or be prepared to frog your swatch. The men’s tie will leave you with plenty of yarn for a swatch and the tab, to keep the tail of the tie under control (men like that kind of thing; ladies usually wear their ties with a little more insouciance). The Spot Stitch gives interest for knitter and wearer while being easy to remember. It is also a good lesson in “seeing” your knitting with purl bumps every other stitch every other row. Columns of purl stitches up both sides help it to lie flat in the front, while the back, knit flat, helps the yarn go further, keeps the around-the-neck area slim, and the front lie smoothly over the back. 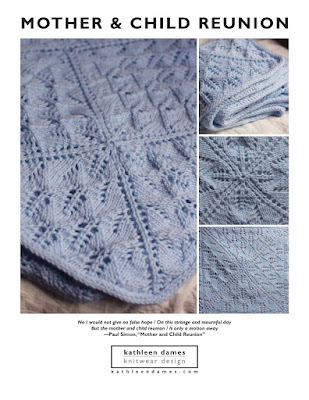 The pattern is available here on Ravelry or you can buy it directly using the button below. Please don't call it a "snood"